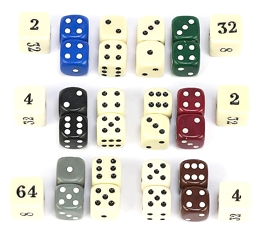 Backgammon Dice Sets Backgammon Dice Sets [668, 890] - $19.99 : Bello Games New York, INC.
Uria stone dice sets. Complete with 4 dice and 1 doubler. 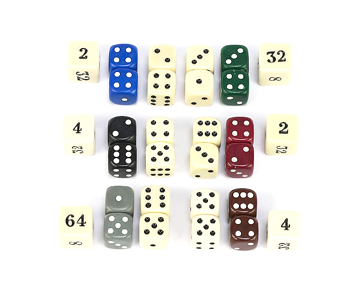 • Dice have rounded corners.The doubler is square. • Small dice size: 29/64" slightly less than 1/2" sq. Doubler: 5/8" sq. • Large dice size: 5/8" sq. Doubler: 3/4" sq.